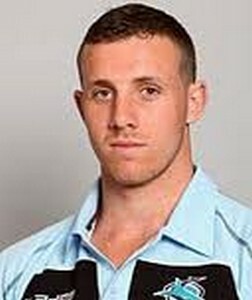 20 years old James Hasson is a professional rugby player who used to play for the Manly Sea Eagles team in the National Rugby League competition played in Australia. Before joining the Manly Sea Eagles team in the year 2013, he played for the Cronulla Sharks team at the under 20s level. Born on 1st May 1992 in Hillingdon, he has been signed by the Manly Sea Eagles for a one year contract extending up to the end of 2013 season. The 191 cm tall player usually plays in the second row for his team. He also played for the De La Salle Caringbah club in his days as the junior level rugby player. His impressive performances in the back row had helped him earn a name for himself at the under 20s level. This entry was posted in NRL and tagged James Hasson, Manly-Warringah Sea Eagles, Sharks. Bookmark the permalink.